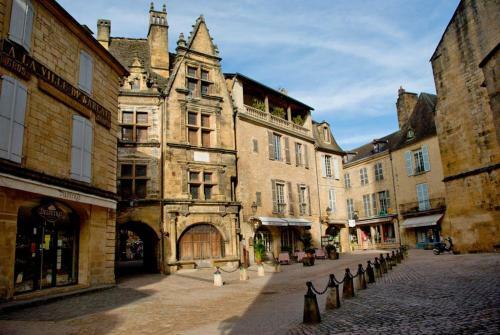 A splendid bright and airy appartment set in the heart of the medieval town of Sarlat. 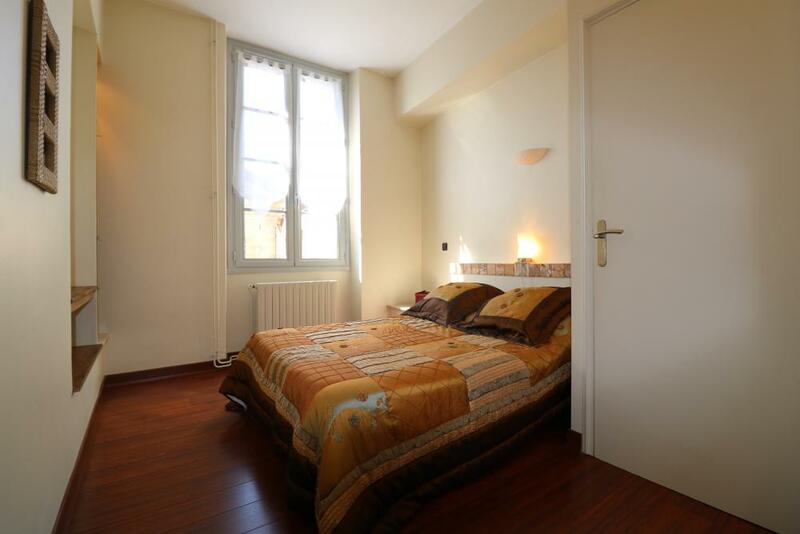 3 bedrooms/2 bathrooms, a superb terrace with views over the rooftops of Sarlat and the bell tower of the cathedral. High quality fittings. 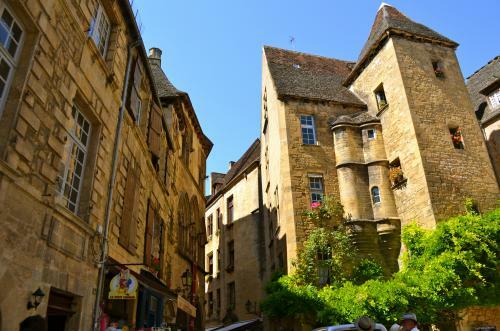 The La Boetie appartment is situated in the main street of Sarlat, in the heart of the medieval city, on the second floor of a beautiful honey coloured stone building. 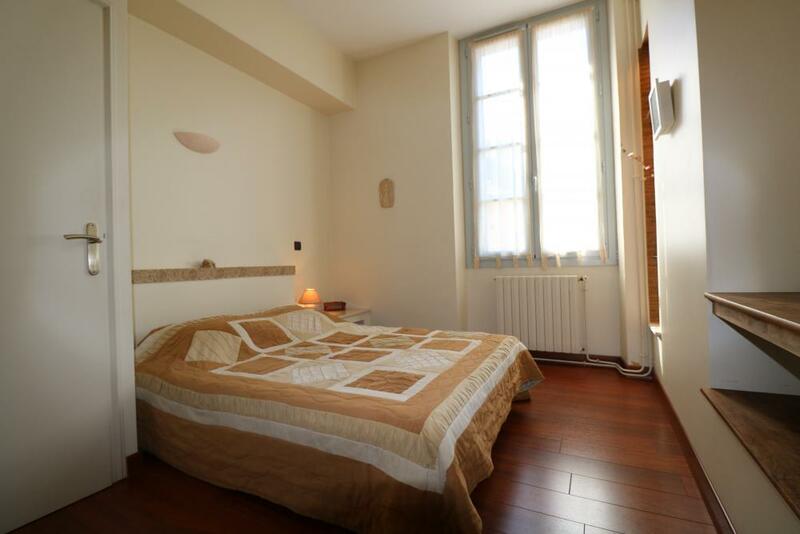 Totally renovated and tastefully decorated, you will be seduced by its volume, its lightness and the high quality equipment. 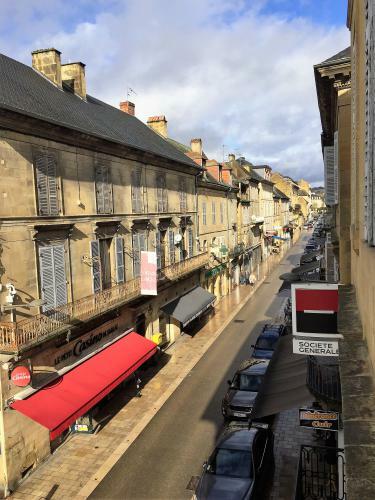 Rare, in the heart of Sarlat, you will have the private use of a beautiful, large terrace allowing you to dine outside and to relax after your return from one of the numerous excursions the area has to offer. 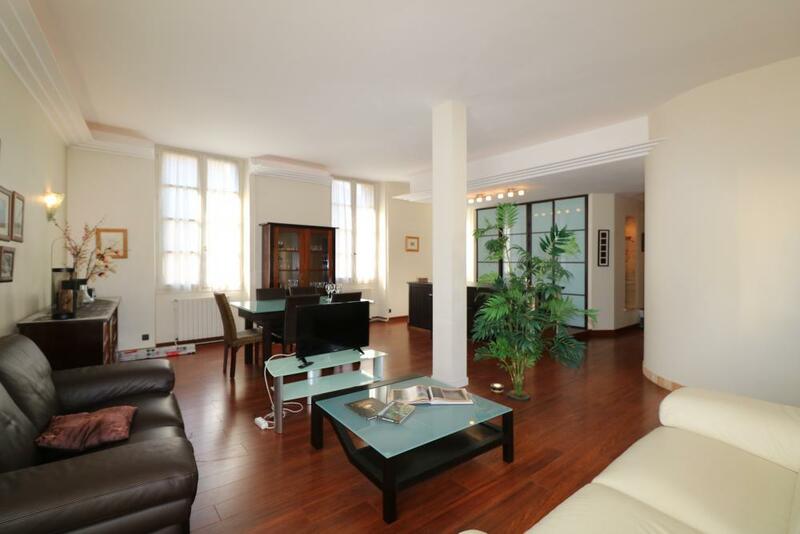 - an elegant sitting area with two leather sofas, coffee table, flat screen TV. 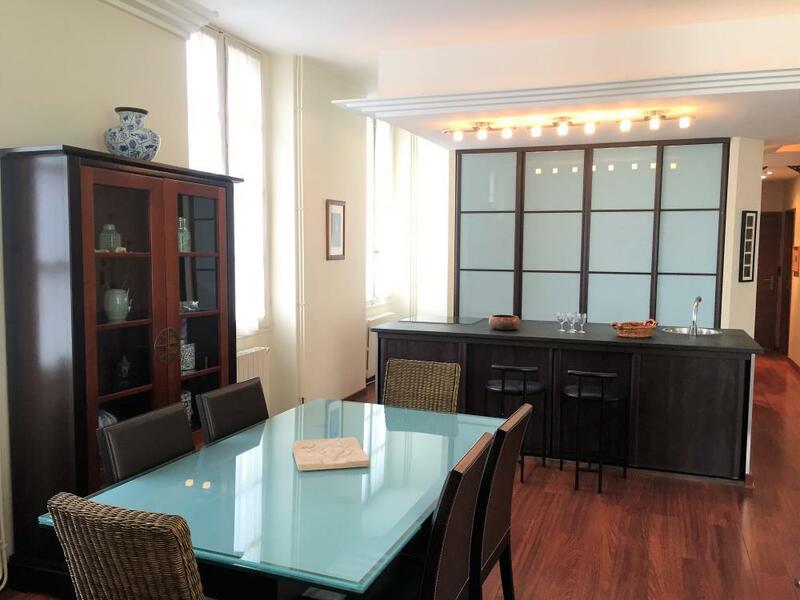 - a dining area with a glassed table and 6 chairs, a sideboard and buffet. - an open plan kitchen with a central island and the electrical equipment cleverly hidden behind large sliding doors. Vitro ceramic hob, dishwasher, fridge/freezer, oven, microwave, kettle, coffee machine, toaster, plenty of cooking utensils: nothing is missing to be able to cook tasty homecooked meals with the fresh produce brought back from the famous market which spreads out in the streets below your window. 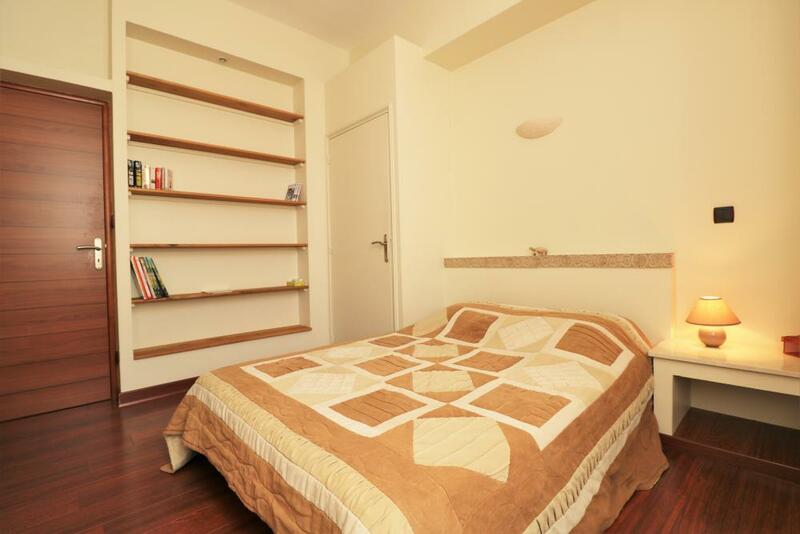 * two double bedrooms, each of 10m² and elegantly furnished with a double bed (140cm wide), bedside lamp, and built in wardrobes. 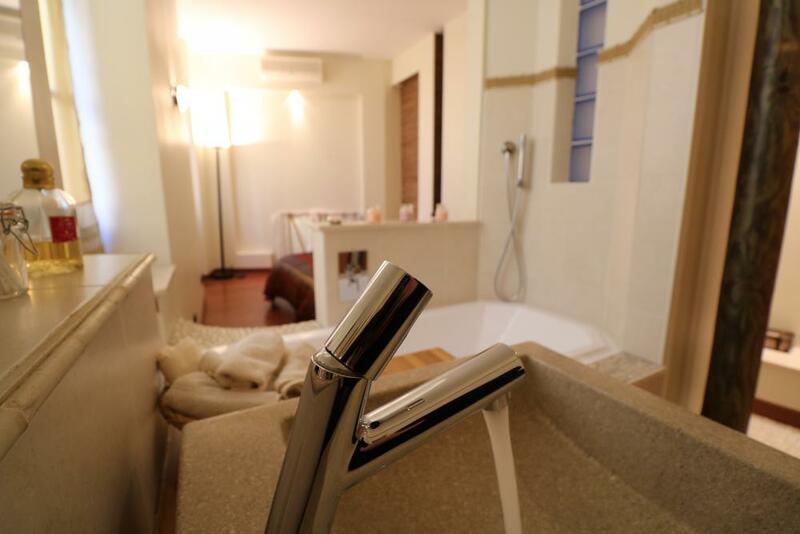 * they share a small shower room with walk in shower and washbasin. 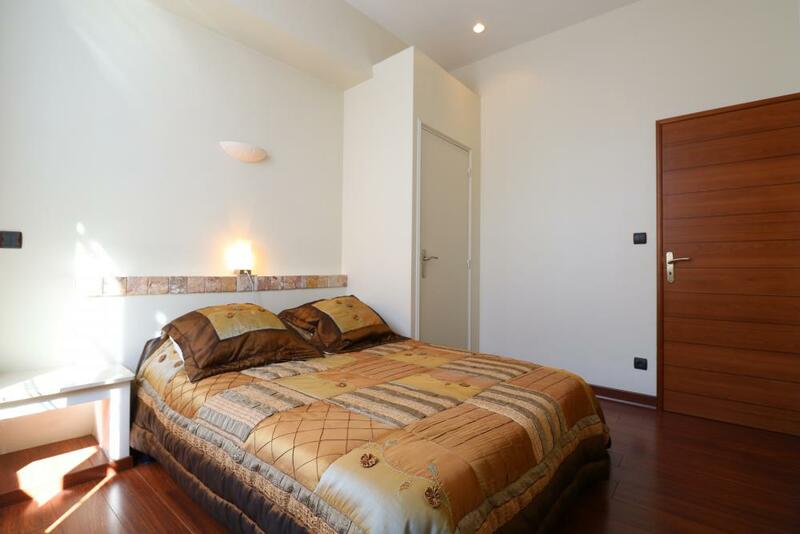 * the master suite, of 15m², offers a king size double bed (180cm wide), which can be separated to make two single beds of 90cm wide, bedside tables and lamps, and a large dressing area. 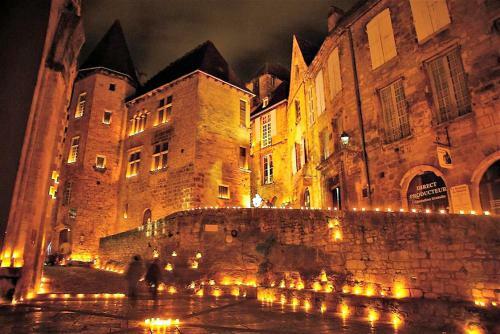 It benefits from AC and from a lovely view over the lanes of Sarlat. 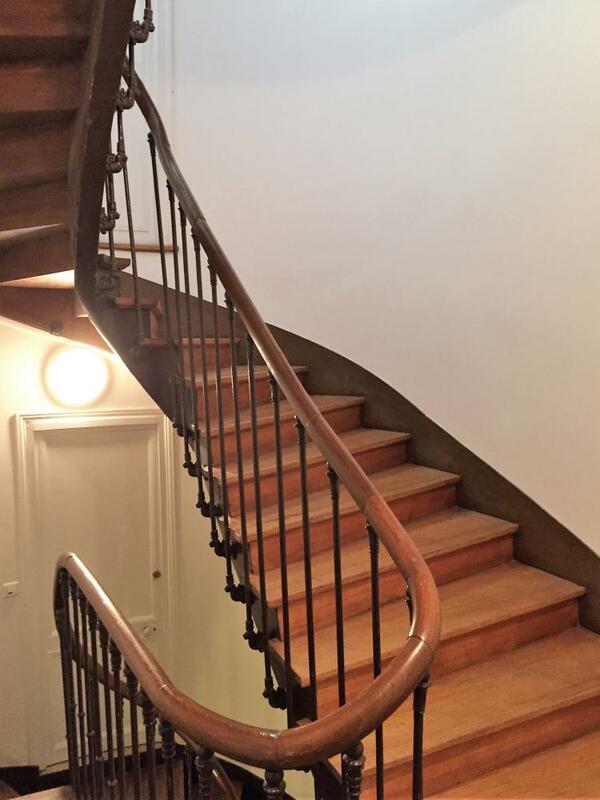 It also benefits from a private opened bathroom with bath and washbasin. The sliding door leads to the first shower room and gives an easy access to the shower. 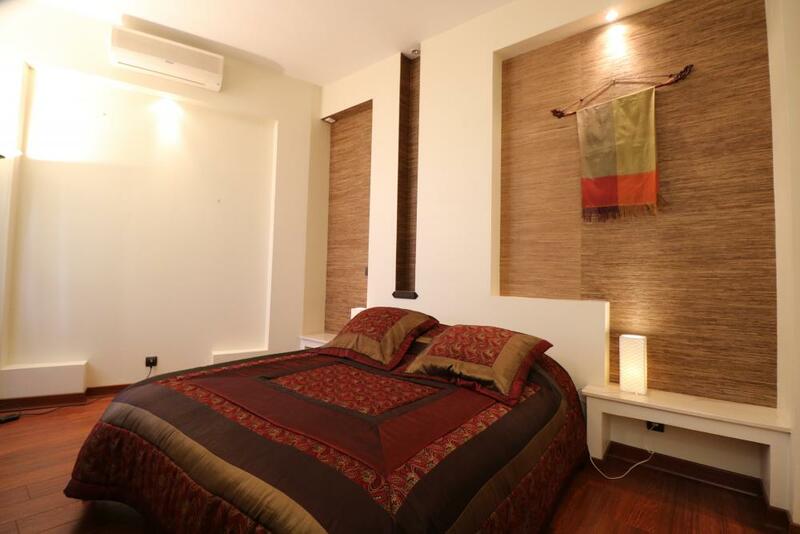 Note that the three bedrooms are fitted with an acoustically reinforced double glazing guaranteeing our guests with peaceful nights! 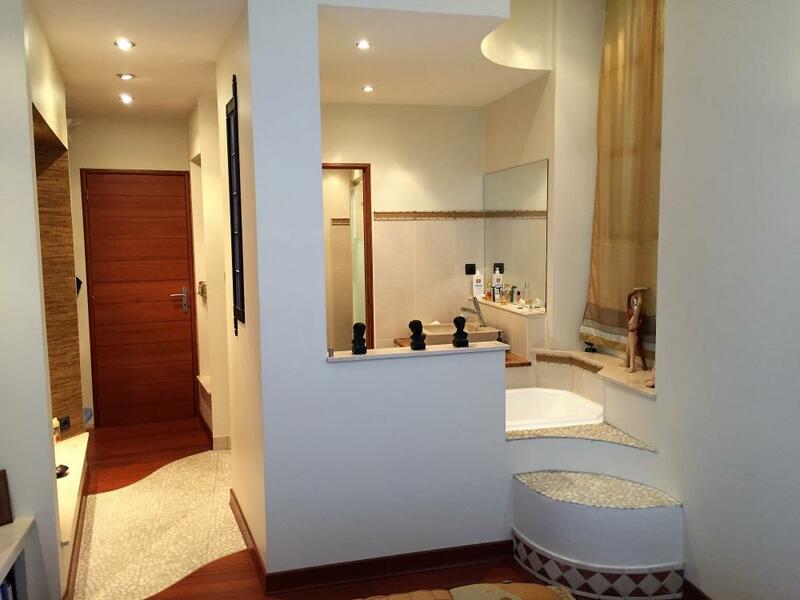 * a separate toilet with a washhandbasin is also available at the entrance to the apartment. * Accessible from the spacious living room, the terrace of over 33m² is ideal for spending relaxing moments outside. It is equipped with a table, 6 chairs and a large parasol, allowing you to lunch in the shade, and two sunbeds for relaxing. 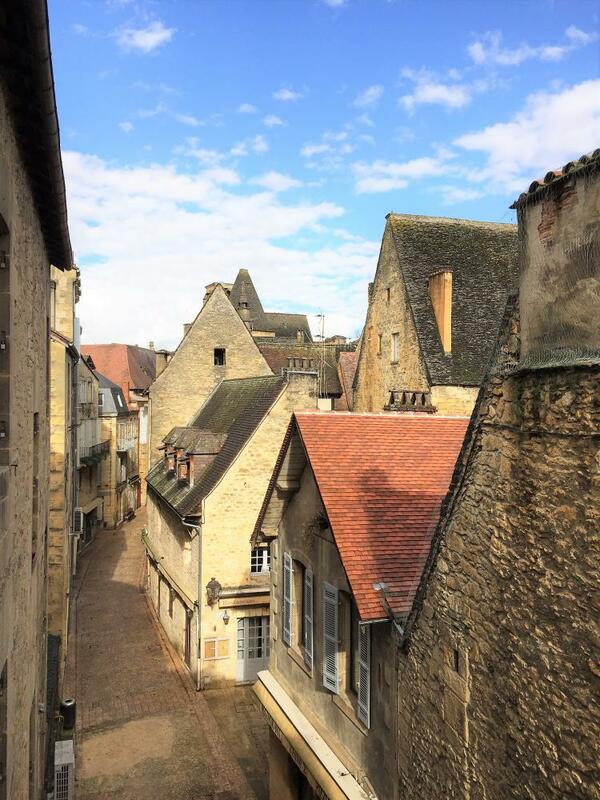 The view over the roof tops of Sarlat and the bell tower of the cathedral is one of the most romantic of Sarlat. 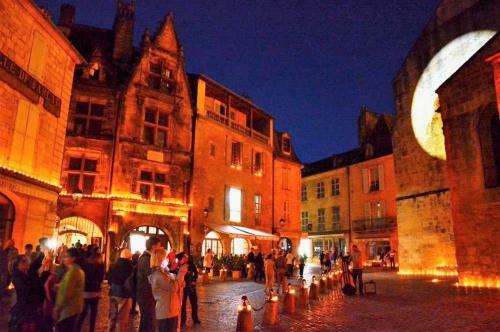 Situated right in the historical heart of Sarlat la Canéda, you can discover on foot the architectural treasures of the medieval town centre, classed as a World Heritage site by UNESCO. 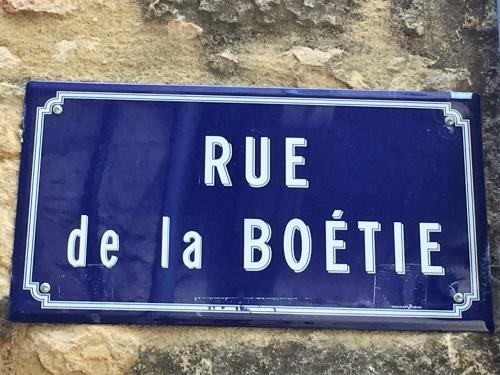 Wander the narrow streets of the old town, and admire the historic monuments. Great restaurants and shops, street entertainment in summer, and the superb markets on Wednesday and Saturday mornings will delight you. 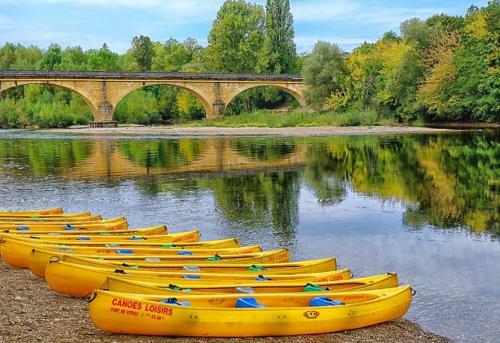 All the must see sights of the Black Perigord are all within a 25 minute drive.